Mark Stuart Americana Acoustic Guitar Styles DVD download. 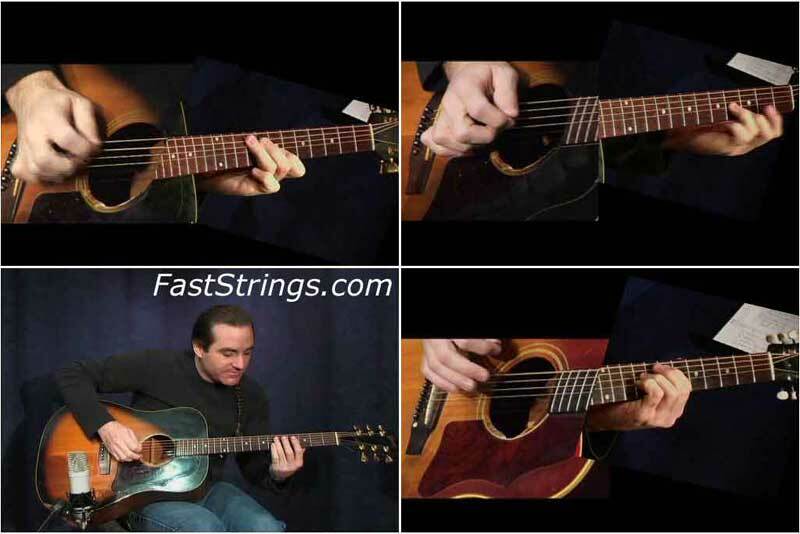 Americana Acoustic Guitar is a great lesson for the guitarist who wants to spice up his/her playing with some new idea on backing themselves or other singers. Mark Stuart is master at this style of playing and is known Internationally as one of the great sidemen. He’s a good teacher, too! In this lesson, Mark focuses on various techniques and thoughts that will help you zone in on what it takes to become a tasteful side person, or to back yourself on your own songs. Topics include: Mark’s Hybrid Style (playing with flat pick and fingers); Playing Octaves on the 5th and 2nd Strings; Playing Octaves on the 1st and 4th strings (Key of G); 1st and 3rd String Octaves; Double Stops in G; Using Slurs; Mark’s pet lick; Country Song Introductions; Double Stops 2nd and 4th Strings; Extensive Harmonics in may keys and positions; Western Swing A6 to D9 Lick; Honky Tonk Lick in Gaka Roy Nichols; Travis Picking Hybrid Style Explanation; Mark’s Guitars; Capo Tricks; Pick Ups and much more.